LockeBridge Investment Bank Advises on Sale of Virginia Based Winning Proposals, Inc.
LockeBridge Investment Bank announced today that it has acted as the exclusive financial advisor in the sale of Virginia based Winning Proposals, Inc. to WP Ventures, LLC. 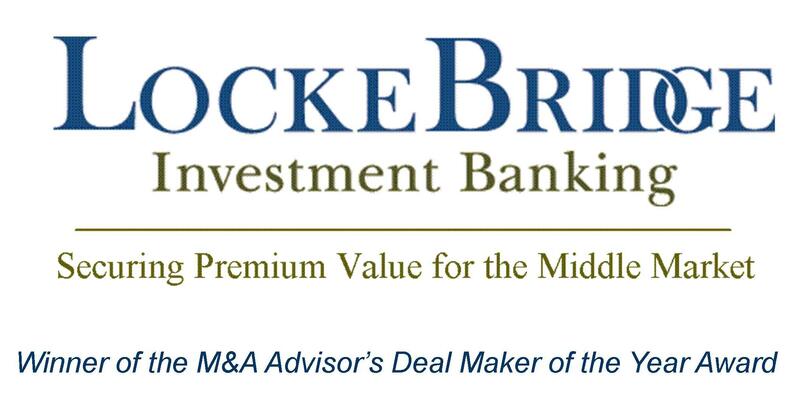 LockeBridge Investment Bank announced today that it has acted as the exclusive financial advisor in the sale of Winning Proposals, Inc. to WP Ventures, LLC. Based in Vienna Virginia, Winning Proposals has supported the government contracting community with support services on over 1500 bid responses For more than 25 years the Company has provided personnel such as proposal writers, proposal managers, editors, graphics, pricing specialists, and capture management experts to companies seeking to do business with the Federal Government. The terms of the transaction were not disclosed. Scott Waxler, LockeBridge Managing Partner states, “Winning Proposals was actually a subsidiary holding of a pension fund with multiple layers. Our objective was to create a transfer that would result in deferring materially all taxes while at the same time meeting the Sellers’ post-closing income needs. LockeBridge is a Boston based investment banking advisory firm offering seasoned domestic and international expertise to owners of middle market companies. Our successful transaction experience includes expert representation in the sale, merger and acquisition of businesses to and for strategic buyers, financial partners, private investment groups, and publicly traded companies from around the world.